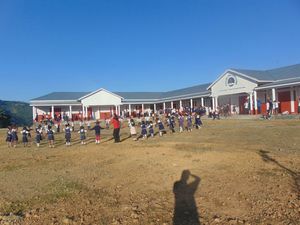 Pherzawl school is located in the village of Pherzawl in the state of Manipur. The village has a population of about 1,600 people. We currently have just over 50 sponsored students at Pherzawl. The village is home to the Hmar tribe and most of the village are believers in Jesus. Agriculture is their main source of income. 80% of the land is covered by forest while 20% is use for cultivation. Walking is the main mode of transportation.